About a week ago I was at JRR Tolkien’s grave. It is not my habit to seek cemeteries containing the tombstones of fantasy writers. However, my wife, two young kids, and I were staying at a guesthouse in Oxford. The thoughtful woman in charge of towels told my 13-year-old that we could visit JRR and his wife Edith. They were resting just across the road. So we crossed the road. 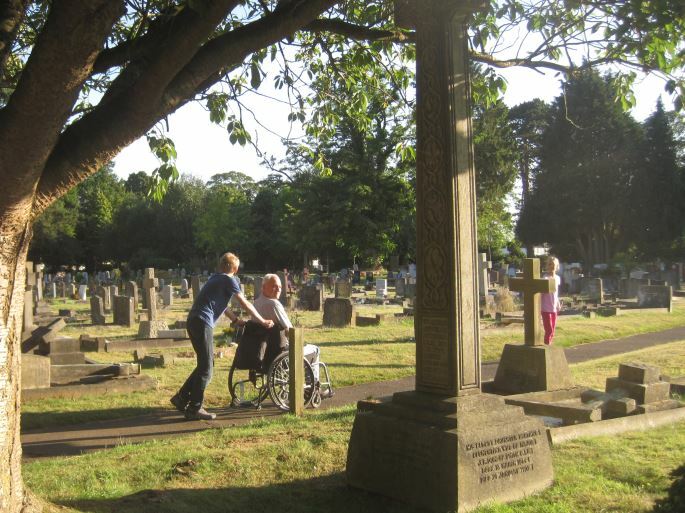 Wolvercote Cemetery, set along Banbury Road on the north end of Oxford, is a pleasant spot for pausing for an eternity. Fortunately, we didn’t stay that long. An hour was enough. We found Tolkien amid flowers in the far southwest corner of Wolvercote. His spot is more modest than most of his neighbours’ and there was inconspicuous signage all the way from the road, directing those on a Tolkien pilgrimage. 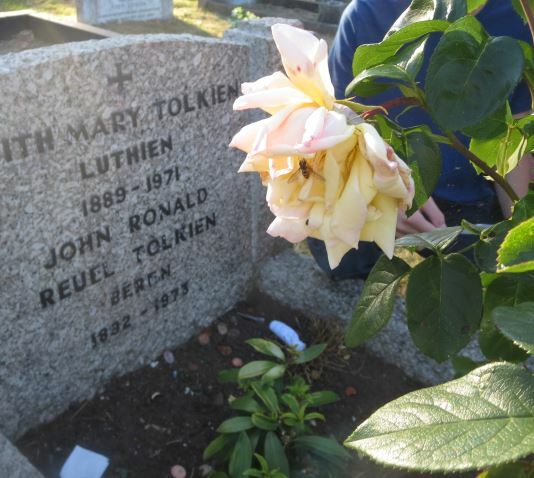 Roses grow from the center of the Tolkien plot. People had left coins on the soil (to pay their respects?). 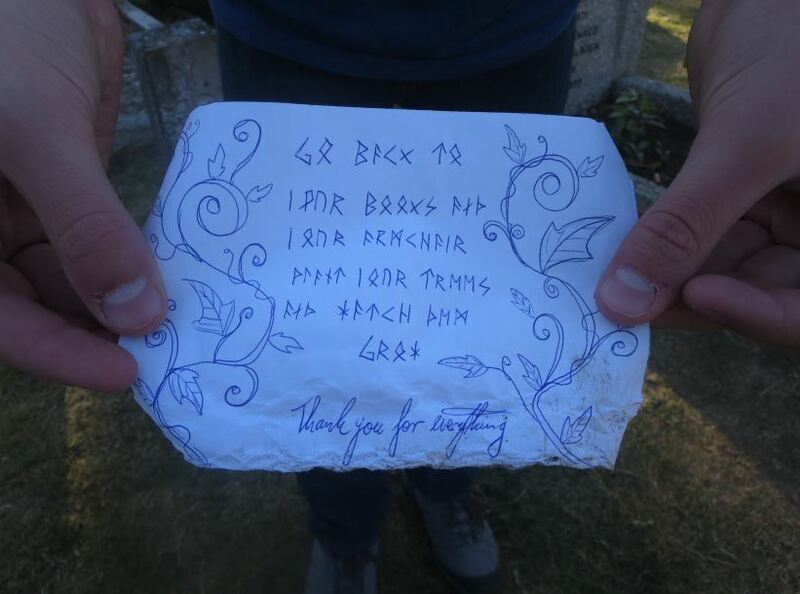 And tucked to his gravestone was a recent note written with some form of Middle Earth runes. It is apparent that not only humans attend Tolkien’s grave. A message to Tolkien. Instructions, actually. We are all story-tellers. Tolkien was simply one of the best. He created entire worlds, populated by strange races which vied for both peace and power. All of his characters were bound by rules of Tolkien’s own creation. These were sometimes outlandish rules which included magic and mysticism, but the rules of Tolkien’s worlds were always self-consistent. Rings could manifest great and dangerous power, but those powers had to be sustained and unwavering, else Tolkien’s worlds would become chaotic and unbelievable. There is a message here for the writers of science. Like Tolkien, scientists are inventing languages, telling stories, creating worlds. There is no single correct rendering of science. Just over 50 years ago, important geologists insisted that the idea of continents adrift was a ludicrous tale of fantasy. The world of 1960 was one of permanent continents. Details build upon facts. Facts come from observations. Half a century ago, these created a version of the Earth where the distance between Europe and America never changed. It was wrong, but it was a self-consistent tale – until new observations challenged the story. An alternate reality crept in. New facts and speculations appeared. The existing story of non-mobile continents was tweaked to accommodate new data. Magnetic anomalies, heat flow from ocean rifts, seismic recordings at deep trenches, the unexpectedly young age of seafloor crust (What happened to the old stuff? ), and much more eventually made the earlier story about our planet unsustainable. A new tale had to be written so that all the details made sense and were contained in a new self-consistent story. The ocean floor ripped apart and the continents left their moorings, free to drift across the globe. Plate tectonics is our current story but one day it, too, may be replaced by a new tale, a story more suitable to new evidence. As scientists and science writers we should constantly remind ourselves that our present sense of reality may be no more real than JRR Tolkien’s greatest fantasies. It serves us well to remember and honour all those who showed great imagination and shaped our views of our planet and its life. In the end, there may be peace in Thorin’s last words to Bilbo Baggins, spoken just before Thorin Oakenshield’s death. 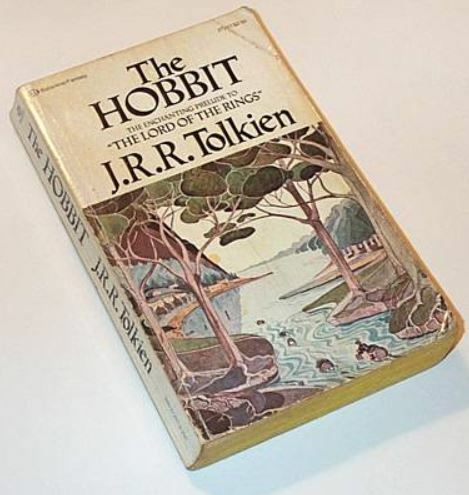 As repeated in the cryptic note which my son found on Tolkien’s tombstone, you may eventually “Go back to your books and your armchair; plant your trees and watch them grow.” Although this may be a comforting reward for dead poets, there is little satisfaction in such an existence for most of us among the living. Instead, it seems better to create new worlds and find adventure within them. I have long been a fan of Tolkien. I appreciate his contributions to our collective imaginations. My youngest brother tells me that I used to entertain him and my younger siblings by recounting Hobbit epics during the long hours we endured in the root cellar on the family farm, chopping seed potatoes into quarters and eighths in preparation for spring planting. It was forty years ago – I scarcely remember the tales I told, but I certainly remember that the potato cellar was a dank and dark low building, dug into the side of a small hill. A single bare one-hundred watt bulb hung from the ceiling. The six of us (I was oldest at about 15, Joe was 7) sat on overturned potato crates, each child’s small hand holding a sharp paring knife, cutting apart the slowly rotting potatoes heaped in front of us. Joe says the hours passed quickly as I embellished Tolkien’s tales of Bilbo Baggins (still my favourite Hobbit) and the gallant Gandalf. I thank the Oxford linguist for making childhood less dreary for many of us. Tolkien could not know that farm children half a world away were beneficiaries of his creative spirit. And now I was at Wolvercote in Oxford, as close as I will ever get to thanking him in person. As the note atop the dead poet concluded, “Thank you for everything.” Thank you especially for kindling imagination that creates new worlds. This entry was posted in Biography, Culture, Philosophy, Science Education and tagged Bilbo Baggins, England, Hobbit, JRR Tolkien, Oxford. Bookmark the permalink.